Our specialist applicator training school kicks off in earnest this month – and presents a unique opportunity to learn about Viero products and to pick up top tips for application. 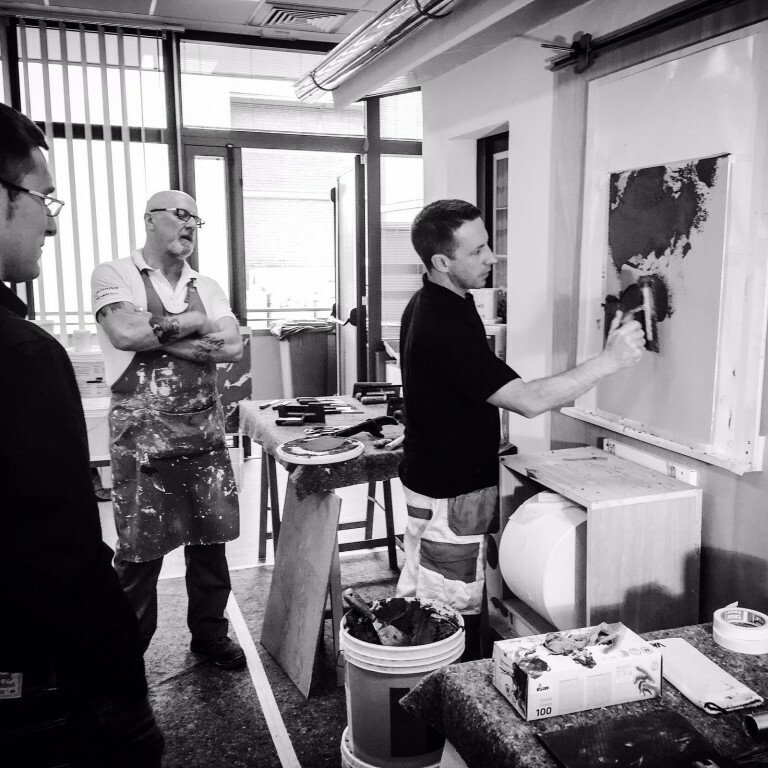 Delivered in collaboration with Jo Poulton, a specialist in decorative paint effects and Italian plaster finishes, the two-day course is more than just a summary of products. “I have a lot of experience and will be using this to give the people who attend a real insight into some of the best practice techniques for application of Viero products,” she said. Jo’s work has seen her deliver projects across the world including for Harrods, Gucci, The Albert Hall, Harvey Nicholls, Louis Vuitton and many more – so this is a chance to learn from one of the best in our industry. In addition to her work as a decorative artist, Jo coaches decorative painting and venetian plastering at her paint school in central London. “When you’re as passionate about interior design as me, you approach your work as an artist and a craftsperson,” added Jo. “The course features around 10 of Viero’s finishes; it will be packed with things to learn, but also fun-filled too,” added Jo. The class aims to give applicators all the tools they need to go to clients, market the Viero products and use the selection of finishes on upcoming projects. As well as knowledge and access to discounted product rates, attendees will be able to take away the sample boards they create during the course to show clients and will also be given a selection of Viero’s beautiful marketing materials. If you’re interested in signing up for one of our training courses, contact dwragg@viero.co.uk or call 0870 609 2827 today.